1. How to create a new configuration for material replacement? 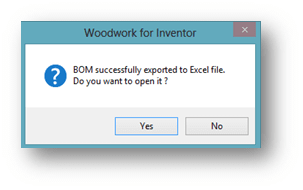 In the Woodwork Design toolbar select the specification generation (BOM) command. Precise dimensions of parts and work pieces are calculated automatically considering grain direction, thickness and position of the banding assigned to the edge, etc. 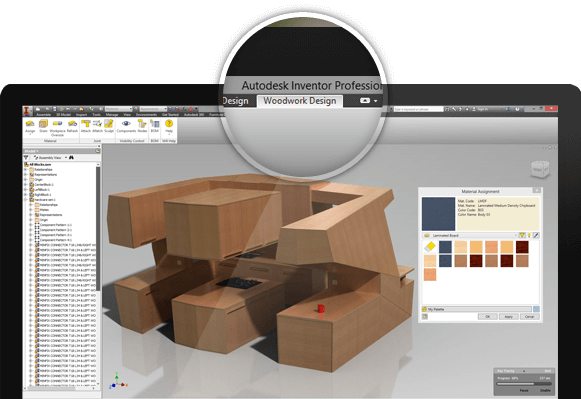 NOTE: In this case, Woodwork for Inventoruses materials assigned at the modeling stage. You can rename materials and hardware elements in the model. Open the Replace Configuration tab. 2. How to select a MS Excel table that contains actual materials names? 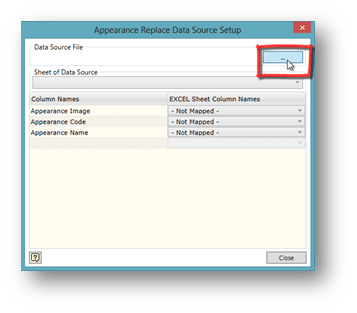 To make a replacement from MS Excel file, double click on an empty cell. Initially there is no connection with MS Excel table. To set connection, click “Setup”. 3. 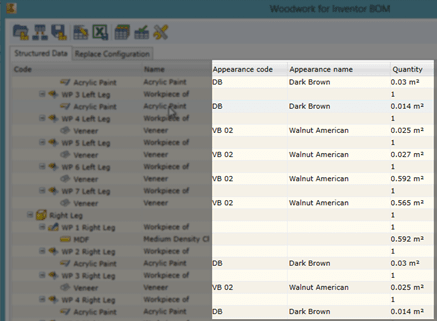 How to match the fields in the Woodwork for Inventor BOM generator to the columns in the MS Excel table? 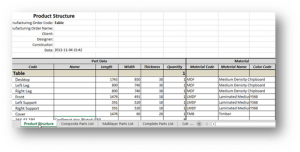 Link the values in the selected specification (BOM) fields to the columns of MS Excel document. 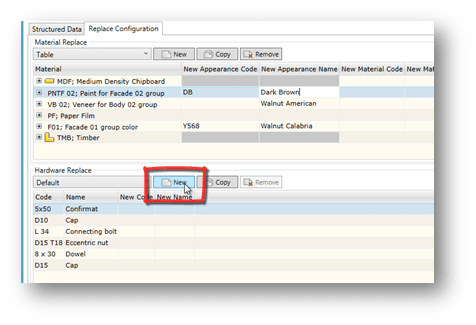 If you need to add a Custom column, just hit “Enter” and enter the column name. When all values are linked, click “Close”. 4. How to create new fields in the Woodwork for Inventor BOM? Enter text in the search field. Search will be performed on all columns. Double click on the value you want to replace. 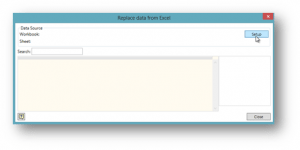 Since you have already set MS Excel spreadsheet for replacement you need to just double click on the cell you want to replace and use search. 5. How to change the names of the model materials into the names of the materials contained in the MS Excel table? 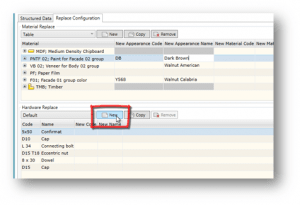 To enter values manually, select a desired cell and press “F2”. 6. How to select the MS Excel table that contains the actual names of hardware components? Double click on any empty field to get to Replace data from Excel dialog window and click “Setup”. 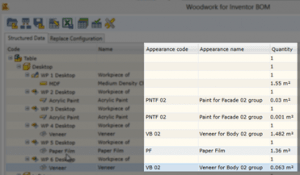 Link specification (BOM) fields to the columns of the MS Excel document. 7. How to change the names of the model’s hardware components into the names of the hardware components contained in the MS Excel table? 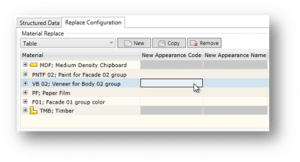 Now you can use search to replace hardware components. After replacement, Woodwork for Inventor will use new names for materials and hardware. 8. How to select a BOM template for export to MS Excel and optimal cutting programs Cutting and CutRite? 9. How to export (generate) BOM to MS Excel? Now you can open the saved document. 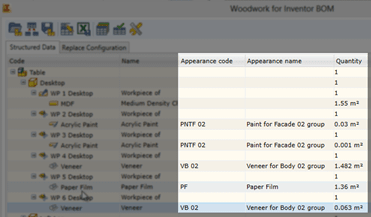 Specification (BOM) contains a precise amount of renamed materials. play_circle_filled 1. How to create a new configuration for material replacement? play_circle_filled 2. How to select a MS Excel table that contains actual materials names? play_circle_filled 3. How to match the fields in the Woodwork for Inventor BOM generator to the columns in the MS Excel table? play_circle_filled 4. 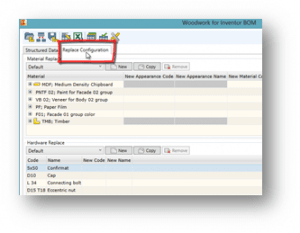 How to create new fields in the Woodwork for Inventor BOM? play_circle_filled 5. 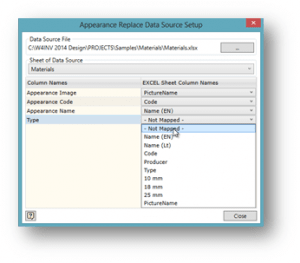 How to change the names of the model materials into the names of the materials contained in the MS Excel table? play_circle_filled 6. 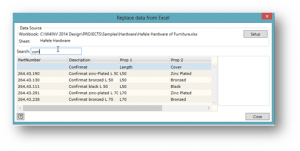 How to select the MS Excel table that contains the actual names of hardware components? play_circle_filled 7. 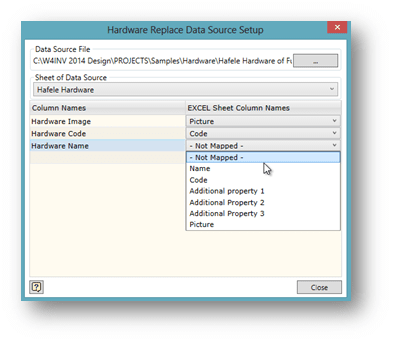 How to change the names of the model’s hardware components into the names of the hardware components contained in the MS Excel table? play_circle_filled 8. How to select a BOM template for export to MS Excel and optimal cutting programs Cutting and CutRite? play_circle_filled 9. How to export (generate) BOM to MS Excel?